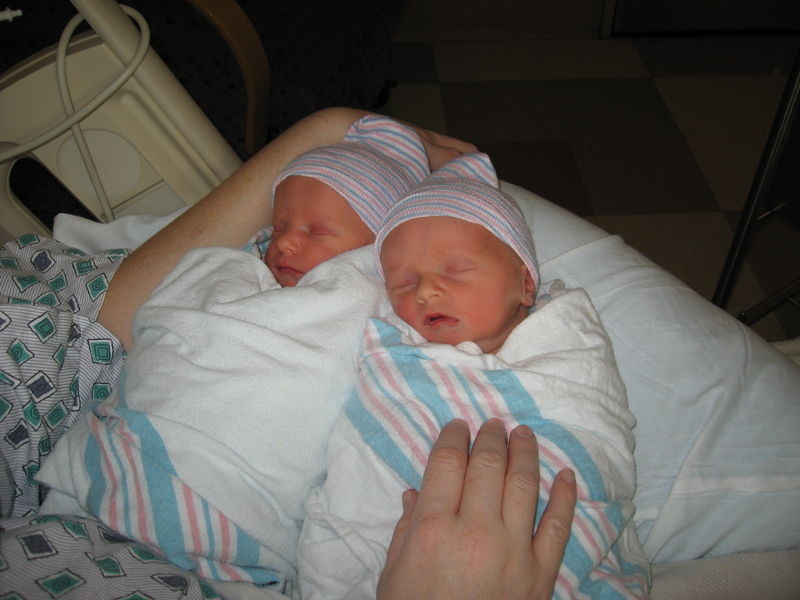 We’re proud to announce the birth of our twin boys, Gabriel Edward and Adrian Robert Mickelson. 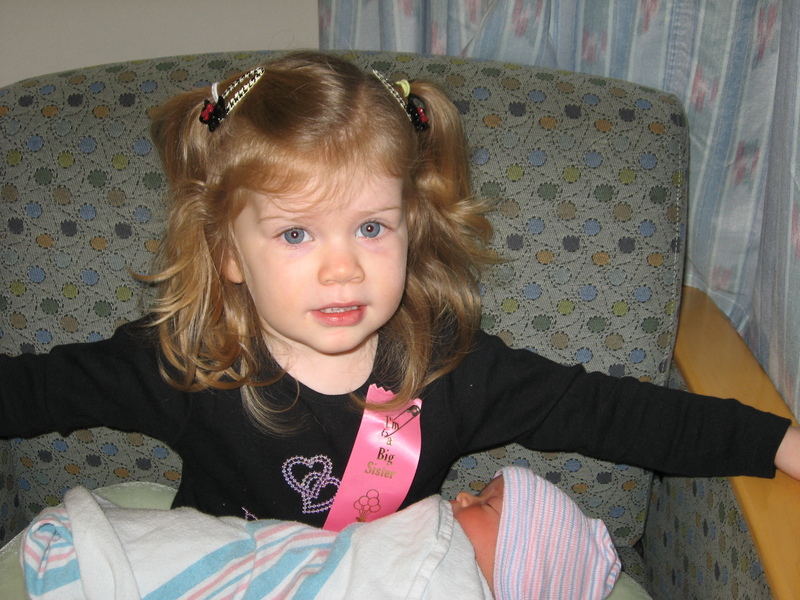 They were born shortly after midnight on Thursday, January 22, 2009 at INOVA Fairfax Hospital in Fairfax, Virginia. While they were born about four weeks premature, both of them are heathly and have been “rooming in” with Geitra at the hospital. They were delivered by Ceasarian section due to Gabriel’s low expected birth weight, but Geitra is recovering very well from the surgery. We brought the boys home around 12:30AM on January 26th—stay tuned for another blog post for the story behind that. 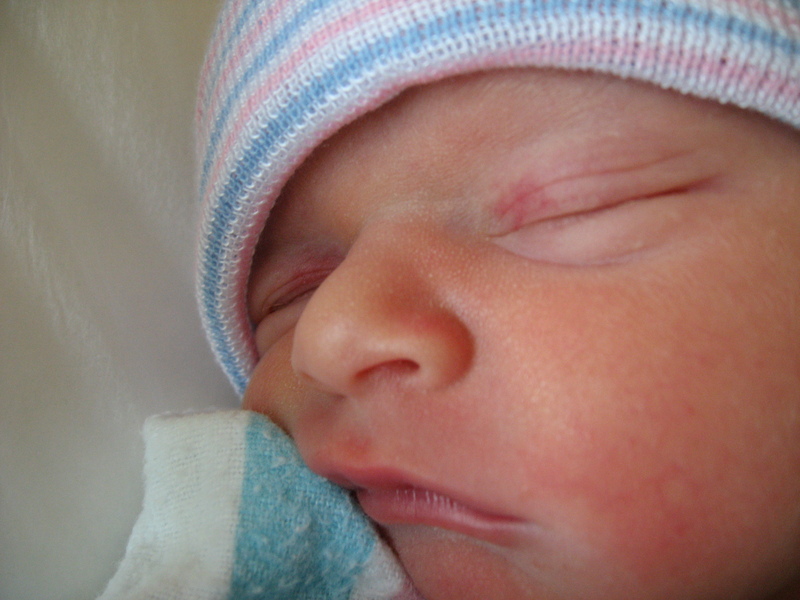 Gabriel was born at 12:42AM, weighing four pounds, 15 ounces and meauring 18 and 1/4 inches long. 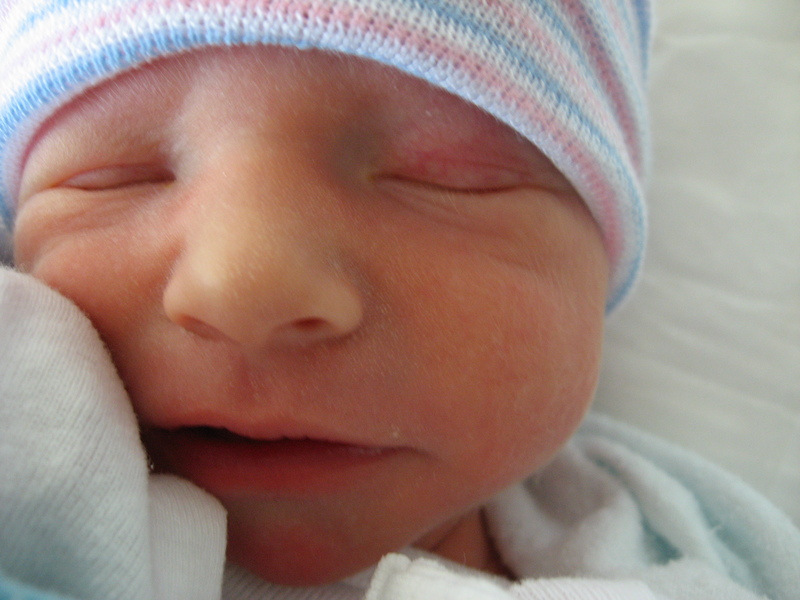 Adrian was born at 12:43AM, weighing five pounds, 11 ounces and measuring 19 inches long. As you’ll see in the pictures below, Amelia had a chance to introduce herself to her new baby brothers the day after they were born—you should have heard her howl when we took one of the boys out of her arms! Our thanks to all the family and friends that have helped us get ready for the blessing of the boys’ arrival, and for everyone’s heartfelt prayers for a healthy birth. It helped us more than you can know. The babies are just precious! Congratulations to you on the arrival of Adrian and Gabriel. They look like little Cherubs. The photo of Amelia with one of the boys is priceless, too! 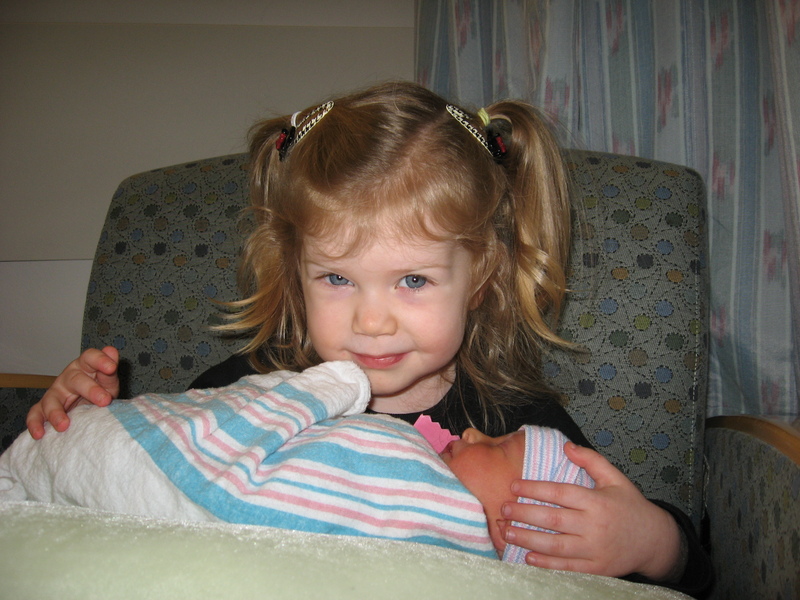 I am sure Big Sister will be an enormous help to Mommy. All you need now is some good sleep! God Bless and thanks for sharing your wonderful news with us.